Samsung Appliance Repair team discuss cleaning. Like all the major appliances in your home, your dishwasher needs a good cleaning. Food particles from dirty plates and bowls can accumulate on the bottom of your dishwasher’s tub and around the door gasket if you neglect to clean the appliance. A build-up of debris can cause your dishwasher to acquire an unsavory smell that can quickly invade your entire kitchen. Luckily, performing a few easy cleaning techniques can prevent that from happening. Using an old toothbrush and warm soapy water, thoroughly scrub any food away that is stuck to the dishwasher’s door gasket. Be sure to remove all loosened debris off the door seal with a wet cloth before moving on to the next step. Extract the bottom rack from your appliance and take a look at your dishwasher’s drain. Check for any foreign objects that could end up clogging the drain or damaging the pump. Appliance repair technicians often find broken glass and bits of bones, so keep an eye out and be careful when wiping around the area. Running a wash cycle with only a cup of white vinegar placed on the top rack is a great way to get rid of food particles from the tub while also eliminating any unpleasant odors. If you want to skip the vinegar, you can sprinkle a cup of baking soda on the bottom of your appliance’s tub and run a wash cycle. Cleaning your top loading washing machine should definitely be on your to-do list. Fortunately, the process of sanitizing and freshening up your washer is quite simple and doesn’t take much time at all. The only two ingredients you’ll need is white vinegar and baking soda. The vinegar removes any mold or mildew and its acidity helps get rid of soap scum build-up. The baking soda also eradicates soap scum, and it has the added benefit of deodorizing the machine. Begin the process by setting your washing machine to its largest wash cycle with hot water. There should be no clothing in the appliance during this cleaning procedure. Next, allow the tub to fill and then pour in 3 cups of vinegar. Before adding the baking soda, let the washer agitate for a minute or two, so the vinegar can mix into the water. Now add the baking soda and run the machine for a few minutes. At this point, stop the wash cycle and leave the mixture sitting in the appliance for an hour. While you’re waiting, dip a clean cloth in the hot water and clean off the top of your washer. 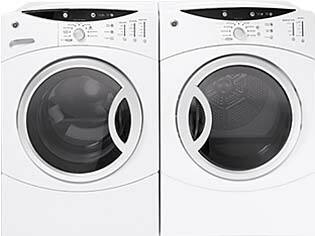 Once the hour has passed, resume the wash cycle and allow the water to completely drain from your machine. When all the water is gone your appliance should smell fresh and look sparkling clean. If you’ve noticed a decline in the performance of one of your appliances, please contact us at SoBellas Appliance Repair, and we’ll be happy to help with all your Samsung Appliance repair issues.